A new comedy festival launches this weekend with more than 30 comics participating in eight shows at four locations around town: The Comedy Catch, Honest Pint, Palace Theater and Improv Chattanooga's First Draft Theater. Lookout Comedy Festival has been organized by Donnie Marsh, who used his own funds to start it. In addition to headliners Janet "The Tennessee Tramp" Williams, Stewart Huff and Jenn Snyder, Marsh says there are 15 local comedians participating alongside the heavy-hitters from Atlanta and Nashville. Although the first comedy acts took the stage Oct. 10, plenty of opportunities remain to leave folks laughing all weekend. » Where: The Comedy Catch, 1400 Market St. The Tennessee Tramp doesn't hold anything back when it comes to marriage, divorce, men and women. She's been watching trash TV and has a lot to say about it. Joining Williams will be comedians Aaron Weber, Brad Sativa, Laura Peek and Shane Rhyne. Hosted by Donnie Marsh. Headliner Aaron Weber is joined by Shane Rhyne, Laura Peek, Brad Sativa and Dave Hannah. Each stand-up does a seven-minute set, then Improv Chattanooga's team of improvisers takes the stage to riff off each comic's set. Natasha Ferrier hosts. 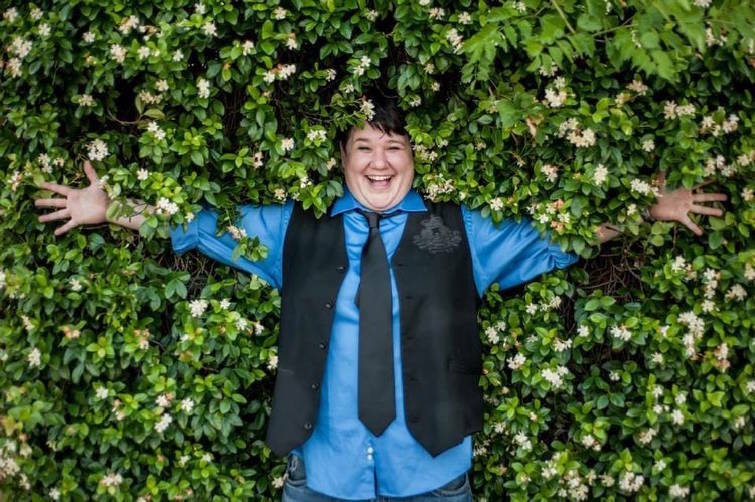 Even though she's 5 feet, 2 inches, Jenn Snyder still packs a big punch in her comedy style. She says her topics range from "growing up as a lesbian in a good ol' boy town" to dealing with the public on a daily basis. 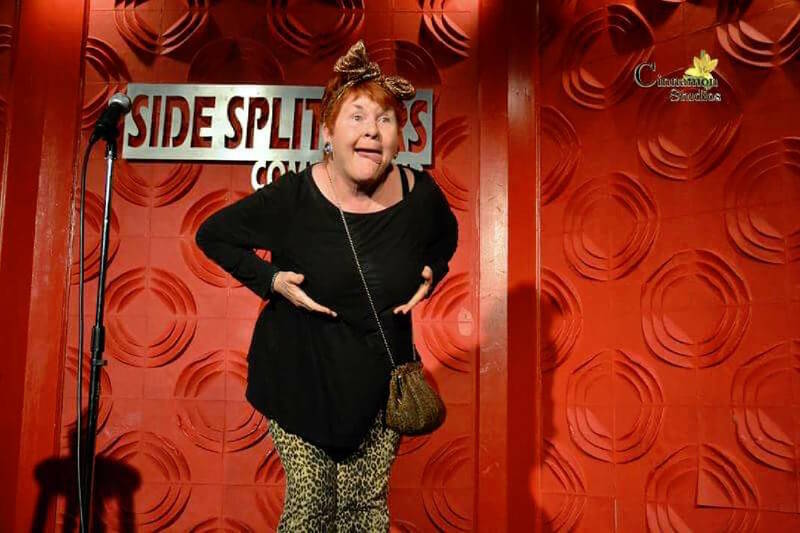 The South Carolinian uses her comedy to unite people through laughter. Also performing: Luke Marter, Ian Aber, Matt Pechiney and friends. Hosted by Natasha Ferrier. Headliner Ian Aber is joined by comics Cortney Warner, Matt Pechiney, Matt Harris and Ian Sharp. Bridgette Martin hosts. After each stand-up's set, Improv Chattanooga does a series of scenes based on that comic's jokes. » Where: The Palace Theater, 818 Georgia Ave. Hosted and produced by Greg Behrens and Aaron Chasteen, Comedy Island is a comedy competition based on reality TV show "Survivor." Comedians Jenn Snyder, Dan Alten, Luke Marter, Natasha Ferrier, Morgan Gray and Bryant Smith will go through five rounds to test their range of writing. Rounds will consist of "pun-liners," impressions, roasts, crowd work and stand-up. After each round, the audience votes for a winner in that round. That winner is granted immunity and the remaining comedians must vote someone off the show. The final two comedians will perform a five-minute set from which the audience will choose a winner. Donnie Marsh hosts a talk show with guests Nick Lutsko, Dan Alten, Will Foskey, Lisa Smith, Ashley Saturday, Trevor Lynn, Elijah Craan, Joseph Donovan and musical guest Over Easy. 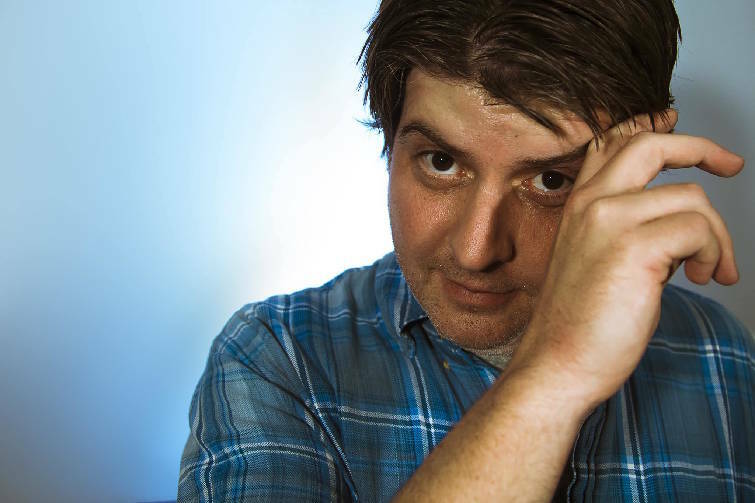 The Knoxville native has been performing comedy for 20 years. His knack for embracing the foibles of humanity and his originality make him hilarious. Joining him will be Natasha Ferrier, Mat Alano-Martin, Greg Behrens and friends. Luke Marter hosts. Comics Ethan McFall, Lisa Smith, Morgan Gray and Grace Holtz each do a seven-minute set after which Improv Chattanooga's team improvises scenes based on that set. Hosted by Bridgette Martin.